OTE has submitted a non-binding offer to Forthnet for the acquisition of its Nova pay-TV operations. The Greek incumbent says it is in the range of €250-300 million on a debt free/cash free basis and that in the event an agreement is reached will be subject to clearance from the competent authorities. It adds that Barclays is acting as its financial advisor. Explaining why it has made the bid, OTE says that it “has been developing its pay TV operations successfully during the past few years and sees significant growth potential for Greek pay TV services, to the benefit of consumers. OTE believes the intended agreement will be beneficial to all involved parties and is consistent with OTE Group’s strategic priorities”. Analysing the offer, Ekathimerini says that it raises Nova’s buyout price as it is seen to include a premium 25% on the current valuation level. Given that Wind Hellas submitted a €200 million offer for Forthnet’s telecom activities a year ago, the total package of the listed company adds up to €500 million. However, it will fall short of the original investment of the main shareholder Emirates International Telecommunications, which spent around €250 million on building up its 44% stake in Forthnet. OTE may nevertheless face a struggle to acquire Forthnet, as its competitors Vodafone and Wind Hellas hold 40% of the company between them and would like to eventually control the company outright. They believe the main value of the company is in the pay-TV platform. 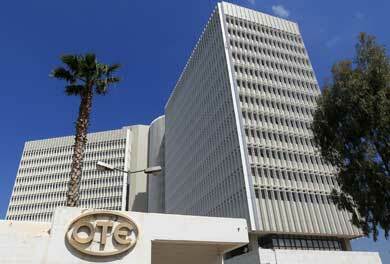 OTE already has a presence in the Greek TV market through an IPTV service named OTE TV. It also backs the Romanian incumbent Romtelecom, which is a key player in that country’s TV industry.